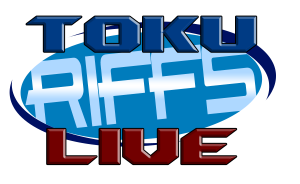 Come on down to the RVTV studios at 6pm Central, 7PM Eastern or Midnight for the UK on Sunday for Toku Riffs Live. Here EZ and his partner in crime, The Shades riff on a selection of Toku both current and classic. There is often people in the chat a couple of hours before showtime, so come on down, have some fun and enjoy the riffing.